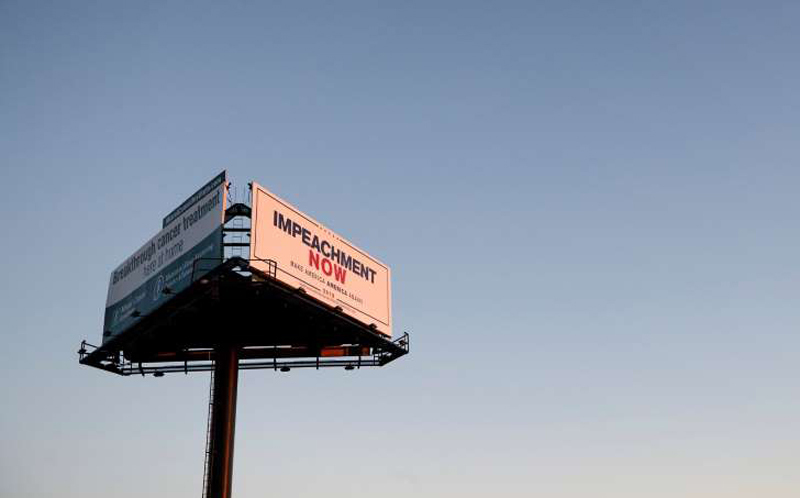 © Tom Brenner/The New York Times A billboard in West Palm Beach, Fla. Editors note: The opinions in this article are the authors, as published by our content partner, and do not necessarily represent the views of Daily News or dearJulius.com. Folks, have a seat and get some tea. I have something to tell you that you may not want to hear: Everyone still hoping for Donald Trump’s removal from office is hoping against the odds. Yes, Trump is wholly unqualified, lacking in morality and character, a consummate liar and surrounded by corruption. Yes, every day that he occupies the presidency he is a threat to this country, its ideas, conventions and comity, but also arguably to the safety and security of the world itself. But, although a perspicuous case can be made for his removal, that is an uphill battle because enough of the public and the political class abhor impeachment and find removal to be extreme and indecorous, even for a compromised president. It is possible that Trump could be impeached if the Democrats take the House of Representatives (odds are that they will) but a conviction in the Senate (where odds are the Republicans will retain a majority, however slim) is all but impossible. A note of historical relevance: America has only ever impeached two presidents (Andrew Johnson in 1868 and Bill Clinton in 1998-99), but in both cases the Senate refused conviction, meaning that both men remained in office. Richard Nixon, whose name and legacy is often invoked relative to Trump, resigned before the House even voted on his articles of impeachment. In each of these cases, it’s important to examine how politicians and the public responded to the possibility of removal. The Civil War had just concluded and Reconstruction had already begun. But Johnson, the racist that he was, opposed many aspects of Reconstruction. As the Senate website points out: “Johnson vetoed legislation that Congress passed to protect the rights of those who had been freed from slavery. This clash culminated in the House of Representatives voting, on Feb. 24, 1868, to impeach the president.” Both the House and Senate were controlled by Republicans. But here is the hurdle that the founders built into the process to make it nearly impossible to remove a president: While it only takes a majority of the House to impeach a president, two-thirds of the Senate must vote to convict in order to remove the president. In the Senate, the three articles of impeachment that were voted on all fell short by one vote, and that is because seven Republicans switched sides and voted with the Democrats for acquittal. Johnson was impeached before the advent of modern polling, but that polling did exist when Nixon resigned and Clinton was impeached. It is important to note in Nixon’s case that the televised Senate Watergate hearings had started and the Saturday Night Massacre occurred in 1973 and yet the percentage of people saying he should be removed from office never rose above the 30s that year, according to Gallup. It wasn’t until after the House Judiciary Committee recommended impeachment that a majority of Americans thought he should be removed. It is quite possible that trying to impeach and remove Trump could have the opposite effect than the one desired: It could boost rather than diminish his popularity and an acquittal by the Senate would leave an even more popular president in office. The very thought of a possible impeachment is already being used to inject some needed enthusiasm into the Republican base ahead of the midterms. Liberals have a tremendous opportunity this election cycle to fundamentally transform the topography of the political landscape and send a strong and powerful signal to Washington that the Resistance is a formidable force. But that only works if success is not restricted to and defined by Trump’s removal. I invite you to join me on Facebook and follow me on Twitter (@CharlesMBlow), or email me at chblow@nytimes.com.